When it comes time to serve water and drinks to the table, the choice of bottles is never easy task. The ideal solution would be to find a bottle designed so as to, with simplicity and elegance, be perfect for many contexts and types of events. In order to fulfill this purpose, the Holmegaard designers have chosen to create the Minima medium bottle with cap, designed to combine maximum functionality with attractive design. What makes this product unique is the material chosen: a totally transparent glass allows water bubbles contained in it to shine in all their vivacity, but it can also give a particular optical effect to those who observe this accessory, maybe placed on a white board, and they will see only the shiny sides and the cork of a bottle unique of its kind. This bottle contains water and drinks up to 90 cl, thing that makes it not only suitable for everyday elegant uses, but also for parties with friends or dinners with colleagues. 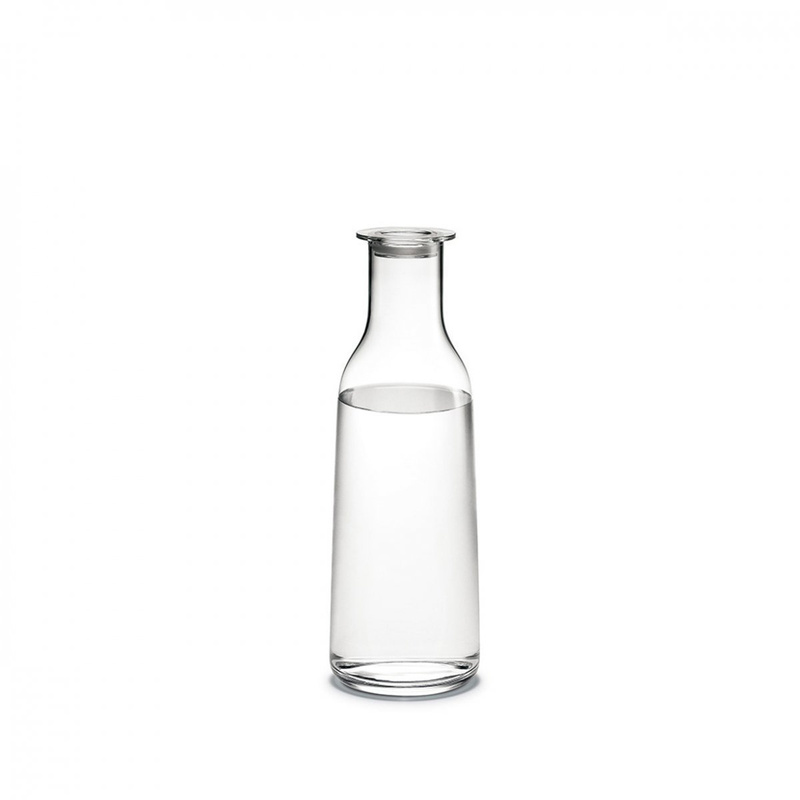 Stable and very robust, the Minima medium bottle with cap reveals its best not only when used at table to pour beverages during dinner, but also if, for example, placed in the showcase in the living room, showing its splendor to curious guests and friends who will surely appreciate its beauty. Such an object of design has been conceived to pamper even the most careful hosts, but it can also become an excellent gift idea for friends and people who will immediately be catched by the elegance that hides behind a very sought after item. Composure and simple lines combine to give life to a unique and never boring bottle, suitable for those who only want the best and want to find the utmost refinement even in the everiday gestures. An accessory to admire and to use every day. The product is dishwasher safe up to max 55°C.